Show your colors - show people the fish you love - in style! Water resistant to hold up in any conditions. Hats are available in colors: khaki and stone (dark brown). 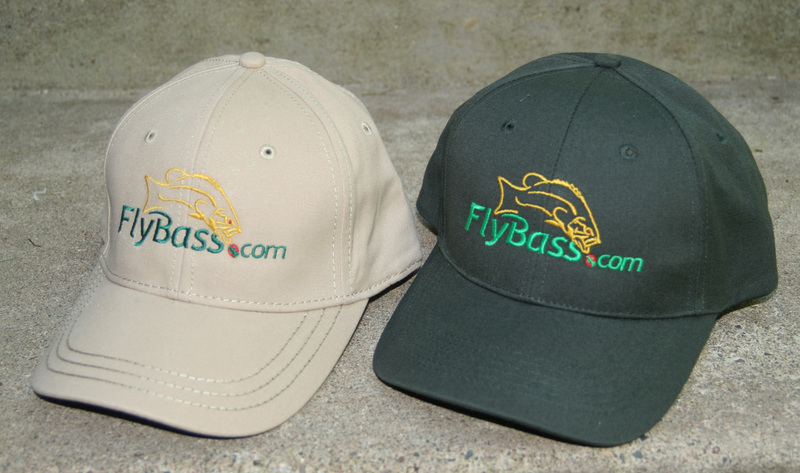 The hats have the custom FlyBass.com logo on front of the hat. I've never seen a hat with vents running vertically. Very cool idea. These are crushable type hats and make the perfect fishing hat.